Preventative scheduled maintenance is an important investment to optimize the performance, reliability, durability, safety, and resale value of your vehicle. Scheduling your vehicle’s maintenance at the recommended intervals will ensure your vehicle is running at its best. We explain key services in detail along with an outline of scheduled maintenance to help you maintain your vehicle. We can assist you in determining the best schedule based on your driving habits and local conditions. 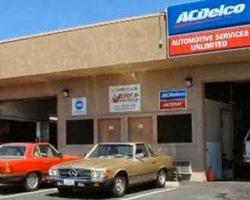 With over 25 years of automotive technical experience, the staff here at Automotive Services Unlimited Inc. have the knowledge and skills necessary to assist you with all of your vehicle’s required maintenance. Your satisfaction is our highest priority, and you can rest assured that we take the time to make sure every job is done right the first time. We’ll provide quality service with quality parts. Doing so is the most affordable and easiest way to protect the integrity of your vehicle.